This week’s Casino Streamers Biggest Wins – Week 12 of 2018 is a special one. That’s because today we have the most popular online slot as part of our compilation. One lucky slot streamer actually managed to get a big win from Starburst. However let’s not get ahead of our sleeves, but take the big wins one by one. All the video slot hits come from the 19th until the 25th of March 2018. Lastly, if you want to try any of these slot machines, you can play them, for real money, on any online casino on our trusted casino list. To begin Casino Streamers Biggest Wins – Week 12 of 2018 we check out Huggehugg’s big win on the Moon Princess slot. 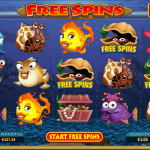 The casino streamer was playing SEK 10 bets when he triggered the free spins with “Love” as the special feature. This slot is one of my favorites from Play N’Go, due to it regularly giving pretty big wins on the bonus. This time was no different as the slot streamer got a big SEK 5753 total win. Play this game at Dunder casino and let us know which of the three ladies pays you the most. Well it was about time for the Temple Quest Spinfinity slot to live up to its name. Kim and myself were playing on Highroller casino last week when we got the bonus on a €3 bet. Now you can’t really call 24 spins as infinite, but the hits we got made the feature great. The money is on the colossal wild symbol, and if you combine it with another wild on the first reel then your are in for a big reward. In out case that reward was a mega win of €1274. What’s the max number of free spin you have gotten on this game? The second Play N’Go slot for today is the new Gold King. Definitely my favorite form the provider’s 2018 releases, and I’m not saying that just because I won big on it. As for the win, it all happened during a SEK 16 bet while playing on Kaboo casino. The win was SEK 6635 and it was the main reason I finally was able to have a cash out. Shirox is back with a super massive hit on the Game of Thrones slot. Unfortunately we do not have the full clip of his bonus round from the start, but we have the best part. The slot streamer was playing €4.8 bets when a sick free spin round got him a mega win of €9527. If you like the GOT slot you can find it on redbet, as well as, most other online casinos. It is the second time we feature Huneasd on the compilations, and this time his slot win is even better. Specifically, the casino streamer was playing the Book of Maya video slot on Quasar. Here, during a lucky spin he activated the bonus round on a €2 bet. In addition the Finish also got the best symbol, the explorer, as the special expanding symbol. All he needed now was a full screen and that’s exactly what he got. Hence a super mega insane big win of €5044 and a reminder as to why Novomatic games are so popular. 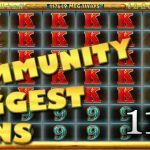 Finally before we end Casino Streamers Biggest Wins – Week 12 of 2018 we have to mention these three incredible slot streamers whose wins we also include on the compilation. All three have yet to upload their big wins on their respective channels, thus we couldn’t feature their wins separately today. However make sure to not miss D-Lab’s win as it is a once in a lifetime experience. 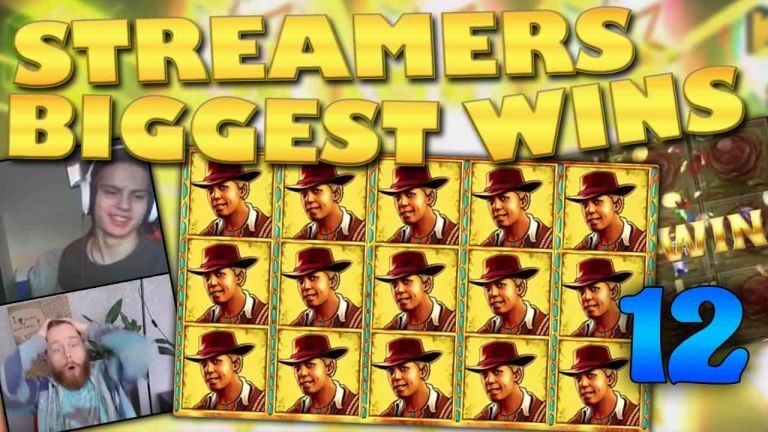 Tell us which win on Casino Streamers Biggest Wins – Week 12 of 2018 was your favorite. Share your thoughts in the comments. Also make sure to check our other videos on CasinoGround’s YouTube channel.